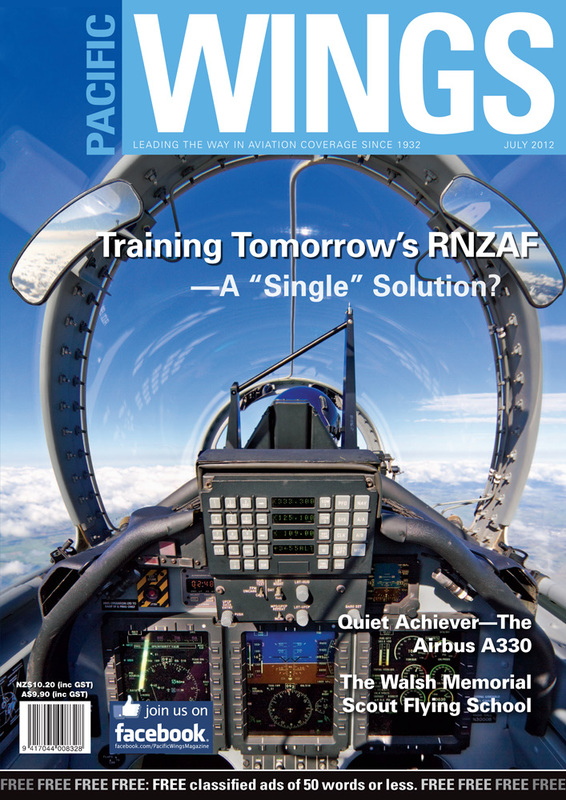 Training Tomorrow’s RNZAF—A “Single” Solution? The RNZAF is approaching a critical stage in its pilot training capability.Rob Neil looks at the future of this capability and suggests that a single type, all-through high-performance turboprop trainer is the best answer to the future of military pilot training in New Zealand. Despite the impending introduction of carbon-fibre airliners incorporating swags of new technology in their every feature, the 18 year-old Airbus A330 is now selling better than ever. Rob Neil looks at why this might be. Ross Gillespie, NZALPA’s Technical Director talks about the dangers of bird-strikes and reminds us of a few simple precautions. Part four of a five-part series of articles. Christine Ody continues her series of articles on what it takes to become an Air New Zealand pilot. Ross St.George tells the story of “the Walsh”—one of New Zealand aviation’s favourite “institutions”. Beloved by hundreds of young people for decades, the Walsh has been instrumental in nurturing many of them into aviation careers around the world. Ballistic parachutes have saved hundreds of lives around the world and are becoming increasingly popular retrofit safety items in light aircraft. Ruud van der Zwaal visited Leading Edge Aircraft Maintenance to find out more about whole-aircraft ballistic parachutes. Paul Sortehaug continues his series of articles on New Zealand’s air aces with the story of Flight Lieutenant Richard Barrett.